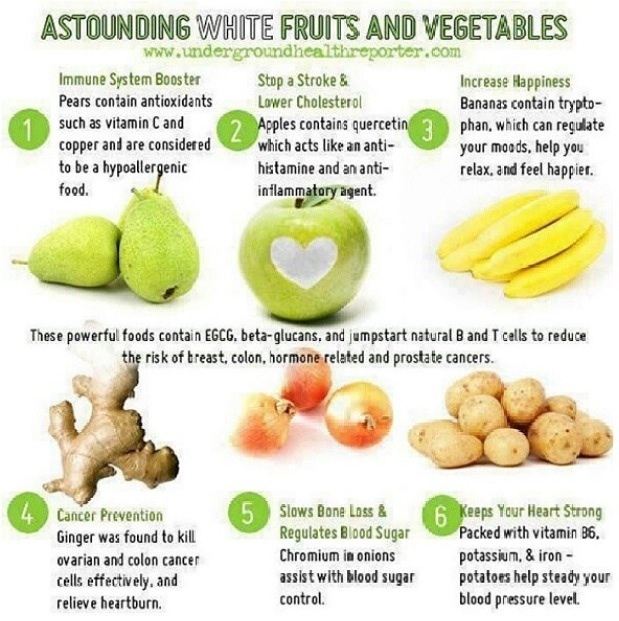 Top 6 White Fruits & Veggies ! Start your new week with new info and motivation to enhance your healthy living. Add these to your diet ASAP!